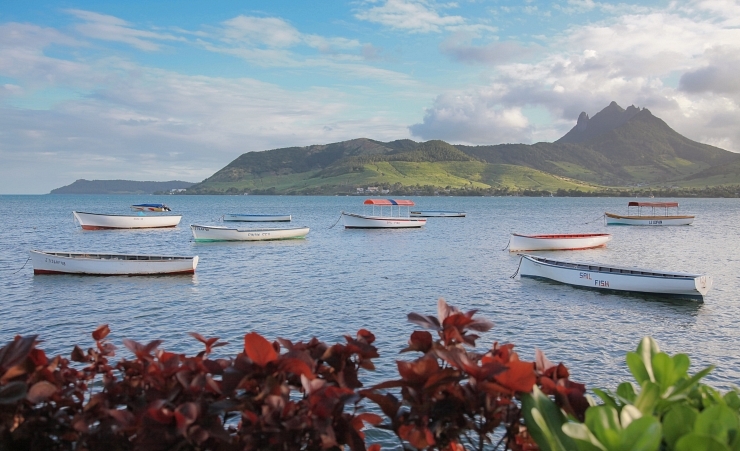 Capture the magical, rustic charm of Mauritius in the traditional fishing village of Camp Des Pecheurs. In English, the village’s name translates as ‘Fisherman’s Cove’ and the local economy is still very much driven by its traditional pirogue boats. It is perfectly situated to explore the South East of this beautiful island. 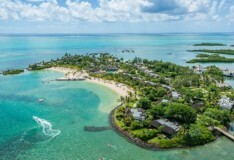 The tropical climate of Mauritius means the resort has year round warmth and humidity. November, December and January have average temperatures of over 30 degrees and even the coolest month, July, has an average into the mid 20s. This means that virtually any time of year is great for a visit, but beware of January, February and March where cyclones pass through the region rainfall is at its heaviest. Undoubtedly, the location itself is the main attraction but a short journey will find a selection of relaxing spas. Alternatively, a trip to the mountains to discover the splendid and lush Vallee de Furney is a great option. The Grand River waterfalls are also a top attraction and can be enjoyed from either a guided boat trip or via a guided trek to the top. Mark Twain was mesmerized by the beaches of Mauritius, claiming that the island was made first, before even heaven. Locally, Laguna Bay offers the welcoming Mauritius’ trademark white sand and crystal blue waters. A short hop over to Ile Florency, lucky visitors will find a seemingly endless expense of glorious beach backed by rich greenery. Those looking for a more adventurous selection at dinner could venture along the coast to Troup D’Eau Douce where they will find a range of dining choices from around the world maybe in land to Bel Air where a more traditional Mauritian experience can be found. Not for you? Why not try the national favourite, Camerons with its spicy prawns? There is not a huge amount of nightlife in this quiet fishing village but transport can be easily arranged to neighbouring villages for something more lively. To experience a flavour of the local culture, a trip to marvel at the kaleidoscope of colours down the road in the market at Flaq will delight. The quiet, serene temple Siva Soopramaniar at Kovile might be a challenge to find but the spiritual wonder of the location is well worth the effort. The traditional setting of Camp Des Pecheurs itself gives a window into the world of the traditional Mauritian fishermen. Unsurprisingly, the best adventure action is to be had on the water. A short trip to one of the neighbouring coastal towns and villages will find you taking speed boat rides from island to island, sailing, parasailing, scuba diving, boarding a pirate ship or kite-surfing. Mauritius may be a small island but it features 900 bus stops and the bus is a cheap, fun way of getting around and for seeing the island and meeting the locals. The services criss-cross the island and run from early morning into the evening. There are taxis for those who would prefer a quicker journey, or the more adventurous could hire a moped. Why holiday in Camp des Pecheurs?